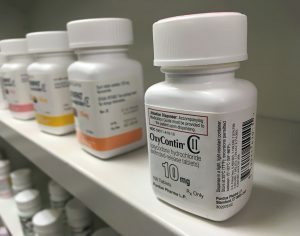 Victims of the Opioid Epidemic: Will You Be Able to Sue for Damages? Have you been directly affected by the opioid epidemic in America? Millions of people have become addicted to these powerful drugs—and for many, that addiction started with a legally prescribed medication to treat legitimate pain. One report estimated that more than 59,000 people died from drug overdoses in 2016—and most of those were caused by opioids. The President has even declared opioid abuse a national public health emergency. I’ve written before in this space about the opioid epidemic and the massive opioid litigation gearing up across America as well as the establishment of centralized multidistrict litigation. So far, these cases primarily involve state and local governments suing opioid manufacturers and distributors for their roles in the opioid crisis. No doubt governments have suffered financial losses from the skyrocketing number of overdoses requiring emergency treatment. In North Carolina alone, the cost of opioid-related accidental overdose deaths was estimated at $1.3 billion in 2015. Opioid Epidemic: Is Massive Litigation Inevitable? Over the past few years, an opioid epidemic has caused horrific problems for many regions of the country. In 2015 alone, the US Department of Health and Human Services estimated that 12.5 million people misused prescription opioids, causing over 33,000 overdose deaths. In 2013, the opioid epidemic resulted in $78.5 billion in economic losses. In response to this tragic loss of life and the economic strain placed on many state and local governments, several lawsuits have begun. Opioids are synthetic or semi-synthetic forms of opiates (like morphine). Opiates are derived directly from the poppy plant while opioids are manufactured chemicals that are very similar to opiates.